The Sheep Whisperer: World's "Fiercest" Guard Dog! The Great Pyrenees is not the only dog breed used to defend livestock from predators in the world. As a matter of fact, there is one rare breed that originated in the Himalayan mountains, that is ferocious enough to repel such predators as wolves, leopards, bears, & even tigers. 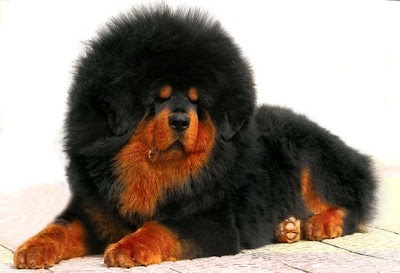 This rare breed is the massive Tibetan Mastiff. 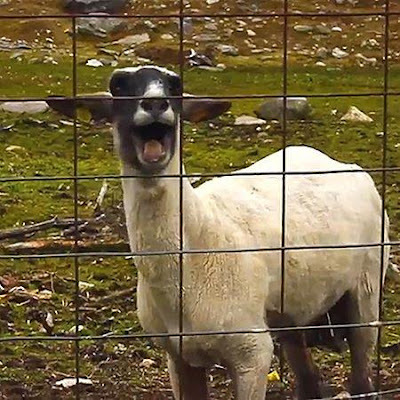 If Ewe mess with me, it could take a BITE out Ewer day! I'm very Protective of my family & flock! 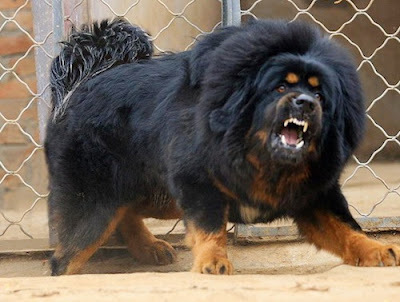 The Tibetan Mastiffs are regarded by many as the fiercest dogs in the world. 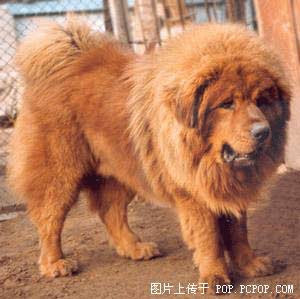 Marco Polo once referred to the Tibetan Mastiff as being "as tall as a donkey & with a voice of a lion". Weighing between 140-170 pounds, they can grow up to 250 pounds & stand at 25-28 inches tall. They are equipped for freezing temperatures, sporting an immense double coat with a heavy mane around their neck, & shorter hair on their head. Males have a muscular neck that is arched with a moderate dewlap, which is more pronounced than that of females. They have cat-like feet & a curled, feathered tail. I just got back from the beauty parlor. What do Ewe think? I need a strong master because I'm very INDEPENDENT! 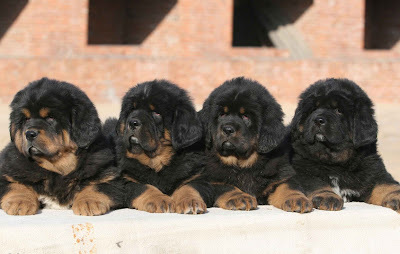 Tibetan Mastiffs are known in their native land as " a defender of woman & children"! 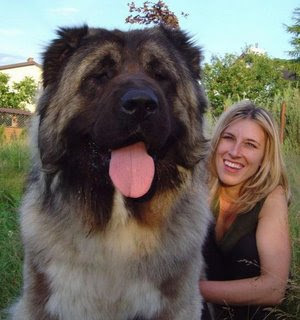 They act as a guardian dog of sheep, yaks, horses, & goats. They are ferocious deterrents to any predator that considers attacking the flock. 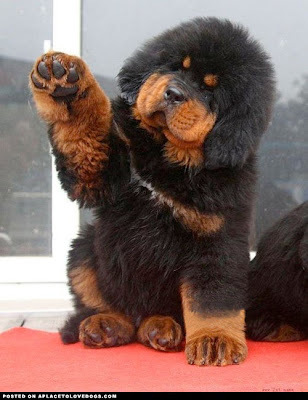 The Tibetan Mastiff is fearless, aggressive, & courageous while on duty, however, it tends to be intelligent, loyal, calm, even tempered, & protective with family members. No predators yet! I'm getting sleepy! Bring it on! We are the future! We are also worth $600,000 each to some Chinese elite ! I sold for over one million dollars! 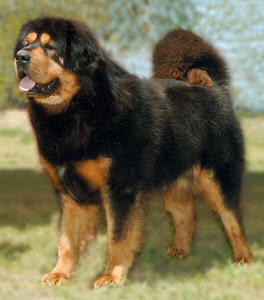 Tibetan Mastiffs are assertive by nature & difficult to train. They will respond to a firm hand of strong leadership, because they desire to please their masters at their very core.. That's probably because they are among the rarest of breeds, with only 100 pure-bred dogs remaining. 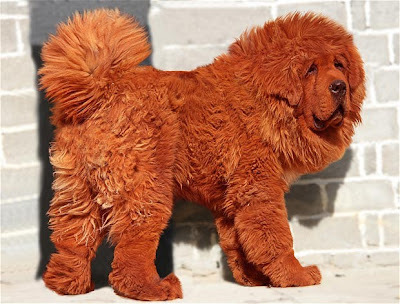 (that is according to www.news.com.au) They are also known as the most expensive breed, & have actually become a status symbol for some wealthy Chinese. Pardon me, but which one of Ewe is going to take me home? My head's bigger than Ewer head! The stronger the guardian, the more secure the sheep. 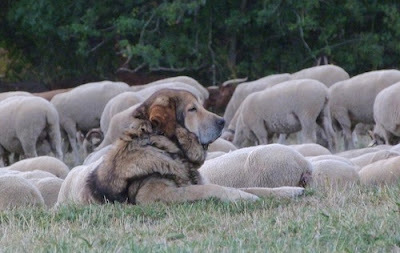 The Shepherd teaming up with a Tibetan Mastiff seems like a perfect recipe to keep predators away. Me, Worried about Predators? Ewe have got to be KIDDING! EWE are safe under My care! As Ewe travel through Ewer day, know that Ewe are not alone! 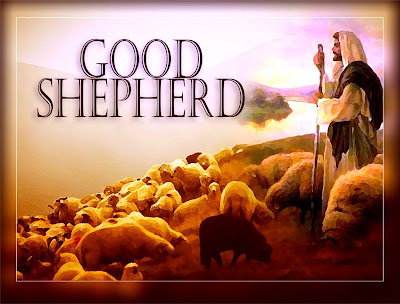 The Good Shepherd is ordering Ewer steps for Ewe!